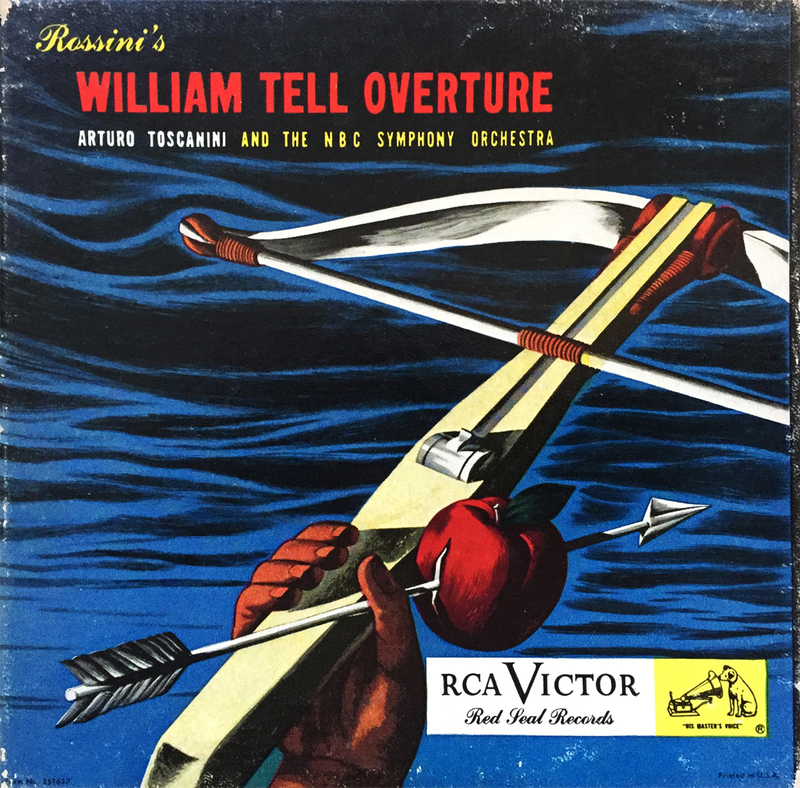 (Orangely) Clocking in at roughly 12 minutes, Arturo Toscanini’s interpretation of Gioachino Rossini’s infamous William Tell Overture can easily be downsized onto two, 45rpm records, as with this RCA Victor release from 1949. Now 67 years old, this double red vinyl box set is the perfect “quick fix” vehicle for long, dusty rides with the Lone Ranger, or eye-spying a quick romp with Alex and a few candy-sucking ladies he coerced from the local brick and mortar. Originally premiering in 1829 (! ), William Tell has seen many, many iterations, and has dipped its toes in everything from children’s cartoons to ultra-violent, X-rated masterpieces. Surely one of those (mini) overtures prudent of a proper spin on a random Wednesday.